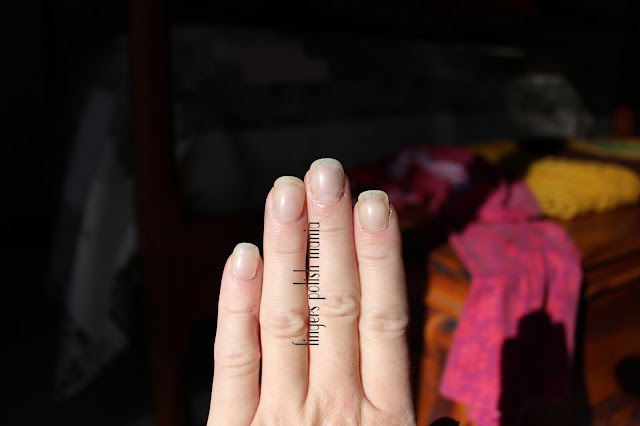 fingers polish mania: Natural Nails Or Not? The saga continues with that patient's wife who has been yelling at me. I told you about her a few posts back how she put in an official complaint email about me. I did have to respond to that and refute each point stating how each and every complaint she had was a lie. She hasn't stopped since. It is insane how this woman has it out for me. When they came to see the doctor the first time, she sat on the exam table and made her sick husband sit in the chair next to her. She then watched the CMA draw blood from him telling her which vein to use! No she isn't medical whatsoever. During the appointment, she demanded coffee like she was at Starbucks not the doctor's office. The next day, I literally busted my a** pulling strings, calling supervisors so I could get all his remaining testing he needed done the next three days. Trust this is unheard of to get these tests done this quickly. I had them all set up for them. When I called her to tell her all about this, it still wasn't good enough. She started yelling at me again and she said "this is very inconvenient right now" like her husband's cancer is inconvenient to her. She then asked me a ton of questions, which had been answered in the doctor's appointment the day before, but I went through it all with her again until there were some I couldn't answer but told her I would find out for her and call her back. Oh no that wasn't good enough so she demanded I get the two different doctors to call her to explain this stuff. Within ten minutes, both doctors had called her and talked to her. The next day I was off. Did that stop her from talking bad about me? She apparently had an issue about something and stormed into the clinic and just started going off on one of the nurses there, throwing my name out there basically saying I'm a piece of crap who hasn't done anything for them. There was a nurse talking to a patient on the phone sitting next to this commotion right? The patient on the phone could hear this woman screaming and thought they were in danger from this woman. I felt bad that this nurse got the brunt of this wife as I had been trying to shelter everyone else from her behavior. But on the other hand, now my boss has first hand experience with this woman so if she had any doubts about what I had told her was going on went out the window. I ended up writing a four page document detailing all she has done and said the past week so if she continues to abuse me, we will make her sign a behavior contract and if she doesn't abide, she will be banned. I sure hope that happens! So that is why I could care less when Ms Princess was crying on me at the time. All right. Moment of truth. 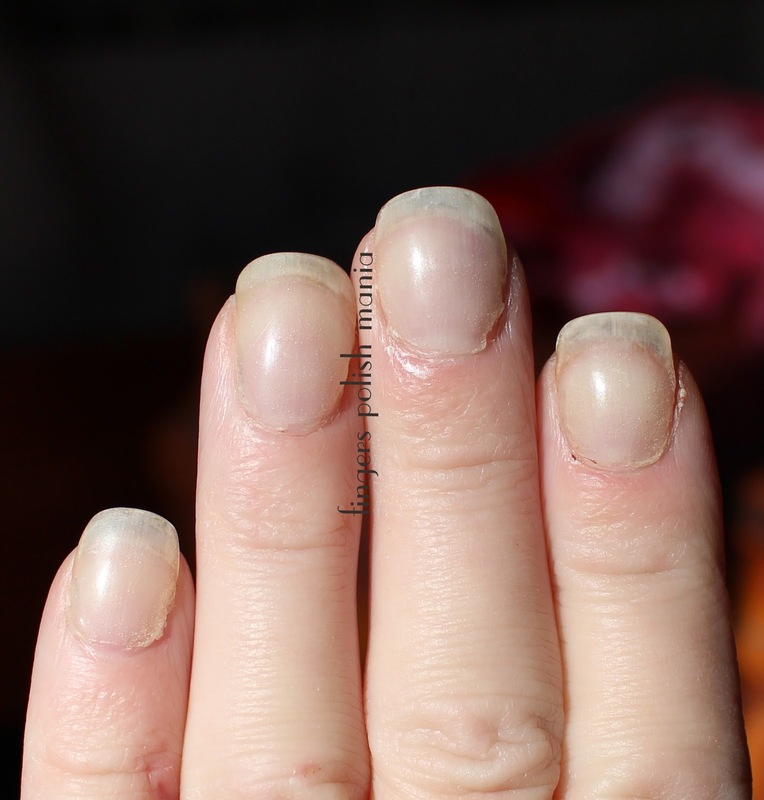 Are these my natural nails, or EZ dip gel nails? This is at arms length. What do you think?? Look pretty matte and natural to me! Were you fooled? Obviously in macro, you can see the bumps and dents of the EZ dip gel. This is three dips of the clear gel with matte top coat. I'm pretty confident this will pass at work once the polish ban goes into effect. I am determined to keep my length! What do you think? Any tips for me to make them look more natural? This is also after a week of wear with no polish at all.